Olesya Povkh and Olha Zemlyak have been provisionally suspended after each being charged with an anti-doping rule violation, the Athletics Integrity Unit has announced. The two Ukrainian athletes had been due to compete at the IAAF World Championships in London, with Povkh having been entered in the 100m and 4x100m relay events, while Zemlyak had been entered in the 400m and 4x400m relay. 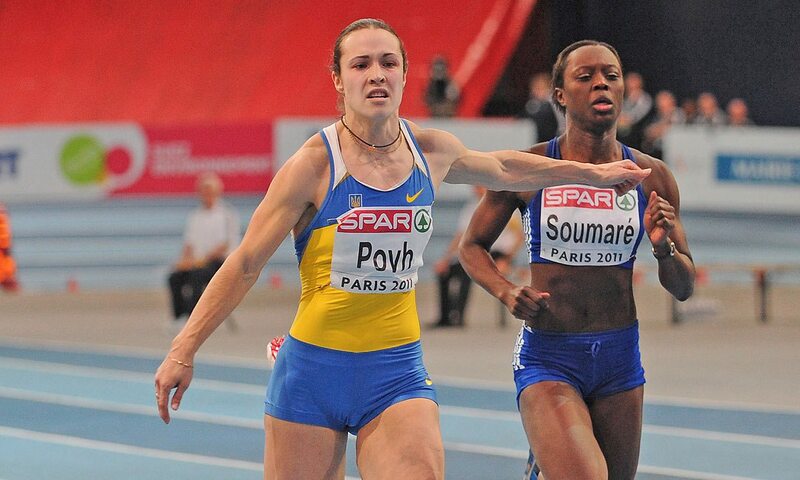 Povkh is a world and Olympic relay medallist, having claimed bronze medals as part of the Ukrainian 4x100m teams at the 2011 World Championships in Daegu and the 2012 Olympics in London. The 2011 European 60m champion also secured silver in that event in Belgrade earlier this year. Zemlyak won European 4x400m gold in Helsinki in 2012 and then claimed 400m and relay silver medals two years later in Zurich. “The provisional suspensions have been imposed following each athlete being charged with an Anti-Doping Rule Violation (ADRV) for the use of a prohibited substance,” read a statement from the Athletics Integrity Unit in part. “Each athlete is now afforded the right to a hearing to determine the charge in accordance with IAAF Rules.